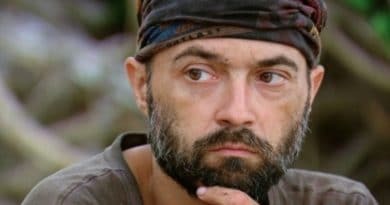 Survivor: Edge of Extinction spoilers show Kelley Wentworth will join three other returning players and fourteen new players for another exciting season. This time with a brand new twist. Survivor production has not released many details about this season but here is what has leaked. Kelley previously competed on Survivor: San Juan Del Sur and Second Chances. San Juan Del Sur was a season with all new players, while Second Chances featured all returning players. That means that Survivor: Edge of Extinction will be the first time she will face a mix of new and old players. Survivor spoilers also promise a new twist which will change the game like never before. 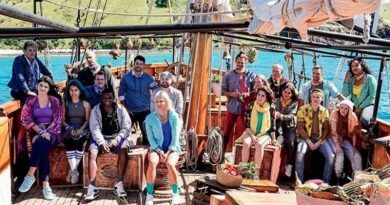 Details on the twist are vague, but we have learned that it will begin when castaways are voted out. As they leave Tribal Council, they will be given a choice. They either leave the game for good, or keep pursuing an opportunity to compete for a shot to stay in Survivor. If they choose to stay, they’ll be taken to a desolate island, and be forced to fend for themselves until later in the game. At some point, they’ll compete in a final challenge for the chance to come back as a full-fledged player. When Survivor began, Kelley Wentworth teamed up with her father, Dale Wentworth. It was the second iteration of the Blood vs. Water season. Kelley was in a good position in the first part of the game on Hunahpu, and didn’t face many difficulties. However, one of her tribemates, Drew Christy, decided, after three eliminations, to target her. He threw an immunity challenge and tried to get the tribe to vote her out. This irked the Hunahpu women, and they worked together to blindside Drew. It seemed that Kelley saved herself, and was in a dominant position. Then, Survivor was turned upside-down during a tribe swap, as Kelley was swapped to the other tribe with dad Dale. Unfortunately for her, he upset the rest of the tribe by trying to dictate who got rice. With both Wentworths on the outs, the new tribe decided to take out the bigger threat, and unceremoniously eliminated Kelley in a split vote. While Kelley Wentworth was relatively unmemorable on her first season, she still ended up on the ballot for Survivor: Second Chances. America voted Kelley back into the game, shocking the audience and Kelley herself. But she quickly proved that she deserved the spot. In the very first episode, she took a risk, and found a Hidden Immunity Idol in the middle of an immunity challenge. 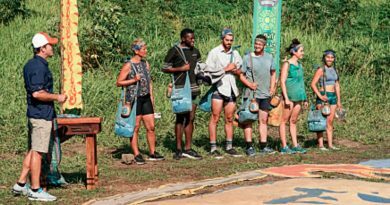 When the game’s first tribe swap split two into three, Kelley didn’t want to be voted out. She was worried that the swap might end the same as her last. However, her swapped tribe, Ta Keo, excelled in all the challenges, and she avoided the chopping block. She survived a final tribe swap, where she moved to Bayon, because her tribe again crushed the other tribe in a challenge. After this, Kelley, along with the rest of her cast, was at the merge. Here, her game kicked into high gear. After eliminating frequent troublemaker Kass Mcquillen, Kelley found herself in danger. However, she used her Hidden Immunity Idol to nullify all votes cast against her, sending home Andrew Savage. By nullifying nine votes, Kelley Wentworth set a record for votes nullified at one Tribal Council. After this, she played from the bottom, out of necessity, for the rest of the game. She convinced the majority alliance to fall apart and vote out Kelly Wigglesworth and Stephen Fishbach. But along the way, she lost her allies, Abi-Maria Gomez and Ciera Eastin. However, finding another Hidden Immunity Idol kept Kelley’s hopes of winning alive. This all culminated in a vote at the Final Six where she played another idol, nullifying three votes, and a revote sent her newfound friend Kimmi Kappenberg home. 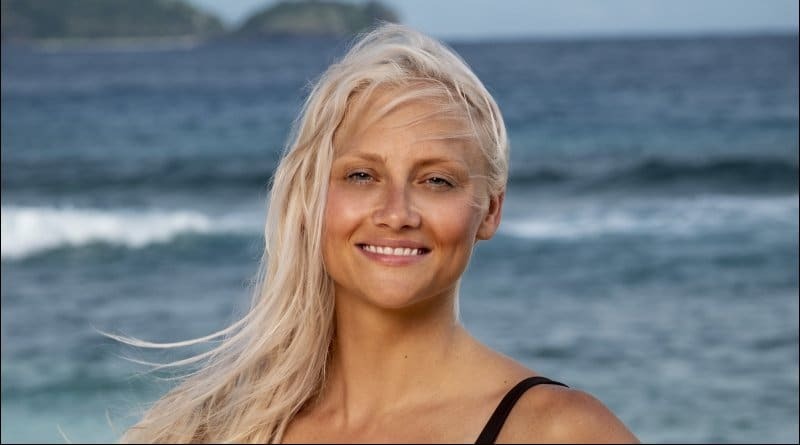 Despite winning two immunity challenges, and successfully playing two idols, Kelley Wentworth’s game ended at the Final Four, one vote away from the Final Tribal Council. Looking at her previous seasons, there are a few things which are clear about her game. She plays best when she is on the bottom. During Second Chances, she got out of one sticky situation after another. But also, she has to resist an urge to always get involved. If she had avoided trying to mediate between Dale and the rest of the tribe, she might not have been eliminated in Survivor: San Juan Del Sur. Can Kelley Win This Time? Even if she can use her strengths to her advantage, and mitigate her weaknesses, the new twist in Survivor: Edge of Extinction could still test Kelley Wentworth’s limits. If she votes someone out, they could come back into the game, which could completely surprise her. However, there is still hope. Even if she is voted out, Kelley’s fighting spirit will surely keep her from quitting. A new twist and all new players stand between Kelley Wentworth and the million dollar prize. How will she perform? You’ll have to watch the show, then join us at Soap Dirt for all the latest Survivor spoilers, news, and more! ← ‘Teen Mom OG’: More Kids For Ryan Edwards?